Competitions have been going really well on my blog recently and I have had a lot of positive feedback from those entering and winning. Christmas is over but here is another chance to win something nice in a giveaway in my House Of Fraser Competition. The prize this time is I admit a little strange, Christmas Reed Diffusers. 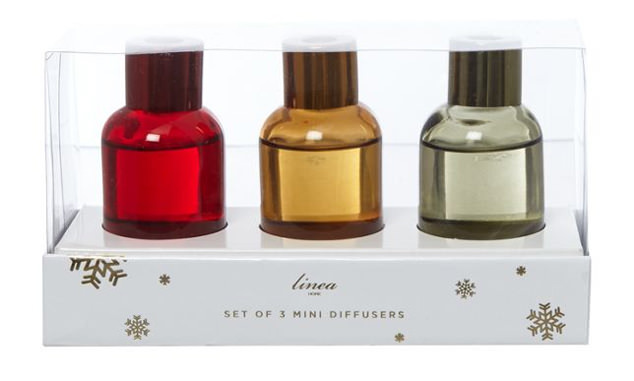 These Linea Christmas Set of 3 Mini Diffusers are sweet and heavily reduced at the moment so if you don’t win or like them as a gift for someone next year then they might be worth getting! Winter Spice – A fragrant citrus spice aroma, sweet mandarin warmed with cinnamon and clove underpinned with a soft cedar wood base. Mulled Berries – A mouth-watering fruit combination of cranberry, cherry & blackcurrant laced with citrus & sweet spice highlights. 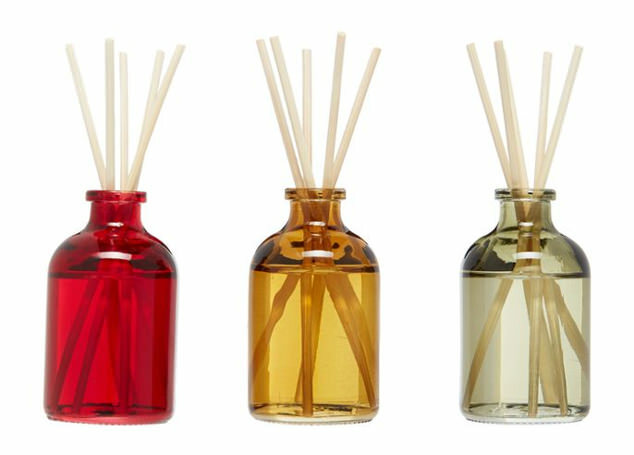 These reed diffusers will last you up to two months each and give you a warm, cosy fragrance over the cold months. I love home fragrances,candles and reed diffusers. If you have never had a reed diffuser they work by continuously releasing fragrance absorbed through the natural reeds to gently scent your home. Sorry, this competition is only available to UK residents, as set by House of Fraser. Good Luck and I hope the winner enjoys their reed diffusers!